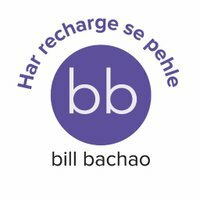 BillBachao (@billbachao) is an India-based company that helps people find the most suitable mobile plans for their needs. Through studying user’s usage patterns and applying big data analytics, the app aims to save money for 70%+ of people in India who overpay for their telecom services. BillBachao uses Twitter to share promotions, tap into relevant conversations, and engage with customers. To increase downloads of their mobile app, the BillBachao team partnered with the agency @befoxy to create an app installs or engagements campaign. BillBachao’s target audience is money-conscious 16-25 year olds and mobile savvy college students in India. By including a question in their Tweet copy, BillBachao helped users feel like they were part of a conversation and compelled them to click through. In fact, data shows that app campaigns paired with Tweets that include a “?” drive 8% more clicks*. BillBachao found their target audience often Tweeted mobile devices and related topics. By using keyword targeting, BillBachao could reach high-intent audiences looking for phone plans. To drill down even further, they used geo-targeting to ensure they showed campaigns only to users in areas where they operate. The BillBachao team used the campaigns dashboard to track important metrics such as engagements and cost-per-click (CPC). By including conversion tracking in their campaign, they could easily understand which campaigns were driving the most installs and scale their best-performing campaigns.